Situated on Diakofto Beach, Panorama offers air-conditioned rooms with a furnished balcony overlooking the Corinthian Bay. Guests enjoy a full English breakfast and free Wi-Fi. Panorama’s restaurant serves Greek dishes. Hotel Panorama’s rooms are airy with lots of sunlight. Each room is simply decorated and has en suite facilities. All units are equipped with a fridge and TV. Guests can enjoy local dishes in the restaurant that also serves food in the courtyard with views of the sea. The hotel bar offers drinks and coffee throughout the day. Guests can also relax in the lounge area by the fireplace. Staff at the 24-hour front desk can offer information on attractions such as the historic Odontotos rack railway within a 10-minute walk, or Vouraikos gorge at 25 km. Kalavrita Ski Centre is 47 km away. Free public parking is available on site. You will be able to spent your time in activities like sailing, diving, skiing and snow board(winter time), walking, biking, climbing or visit the nearby historic sights and picturesque villages. The Kalavrita Canyon Hotel & Spa is located in the center of the historic town of Kalavryton. A 4-star hotel, eager to offer its guests a comfortable and relaxing hospitality. A brand new and exclusive hotel, offering 38 rooms furnished with high standards and modern facilities, an atmospheric Spa with hammam, sauna, jacuzzi, relaxing body, facial treatments and Hand & Nail Care. At the Monastery restaurant of our hotel you will enjoy the delicious creations of traditional and international cuisine, while the Golden bar will impress you with its`gold` environment as you enjoy your drink or beverage. Our versatile multipurpose room, which seats up to 350 people, equipped with the latest technology, can support professional, scientific, conference and corporate meetings and social events. While stayin in our hotel you may visit the telescope `Aristarchus`, the Cave of the Lakes, the Monastery of Agia Lavra, the Cog Railway, the Holocaust Museum, the monument of `Place of Sacrifice` or the Great Cave. You may also enjoy activities like the Ski center of Kalavryta, Hiking - Climbing, Paragliding, farm visiting, the beach of Diakopto as well as sports in the river Ladonas. 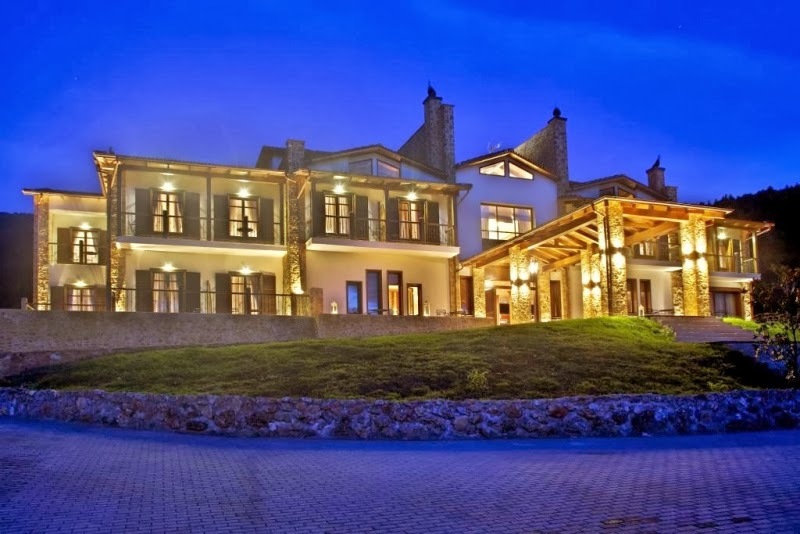 Nymfasia Arcadia Resort is a four star hotel, operating since August of 2012, located in the foothills of pin covered mountain “Menalos” in Vytina – Arcadia. The unique architecture, with its casing stone and modern interiors, is fully integrated in the lush green surrounding area. Aiming elegance at affordable prices, offers elegantly decorated rooms and suites, gourmet dining, relaxing center, conference center, fitness room, lounge, bar and an impressive atrium and all public spaces is enable for people with disabilities. Next to the hotel you may visit the gorge of Mylaontas River, the fir tree forest of Mainalo and the spring of Nymphasia. Within one to two km distance you can find the picturesque village of Vytinas with the Folklore museum, the library and other attractions. Also you can enjoy a variety winter sports, walk the hiking path E4, to hunt in the forest or visit scenic and historic villages. The forest roads of Menalos are suitable for lovers of “4×4” in all seasons of year. For even more adrenaline, there are sports like river rafting, canoe-kayak, canyoning and river trekking in the surrounding rivers of Lousios, Alfios and Erymanthos. Our Deluxe Room (34 sqm.) are suitable for 2 adults and up to 2 children between 2-12 years of age in a pull out sofa bed, with extra charge. 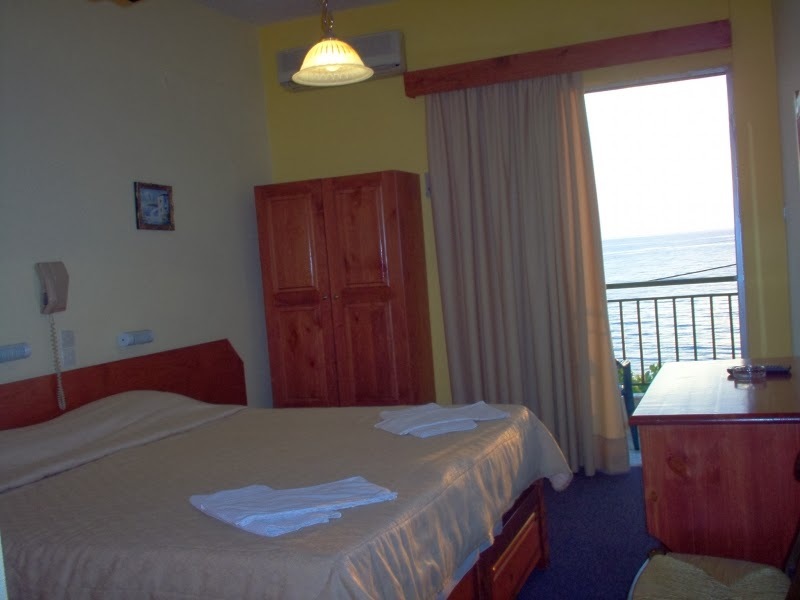 Comfortable and tastefully decorated rooms fully equipped, suitable for families with two children. Enjoy your stay with unique views over the lush and snowy mountains. Rate per night: 82.00-114.00 euros with traditional breakfast. well-appointed rooms at affordable prices. beach of St. Isidore 1.5 km. A quality hotel apartment complex in the Peloponnese for your holidays and getaways. your seminar, conference, workshop or training course. coffee bar, with a backdrop of comfortable pool (separate charge € 7). exclusively for you, free of charge. cottages have two sleeping areas and two bathrooms with shower and WC. Two of the suites have their own fireplace. Harmony apartments are ideal for families with children (big houses), but also for couples (smaller apartments). visit Nafpaktos city located opposite from us, in central Greece. This is the Blogger page of www.greeceholidayguide.gr Stay tuned for news, offers, vacations and hotels in Greece!